For the last six days, PARTYNEXTDOOR has been posting numbered photos on Instagram with art and titles. Of course it was obvious that new music was on its way, but we weren’t sure how soon. 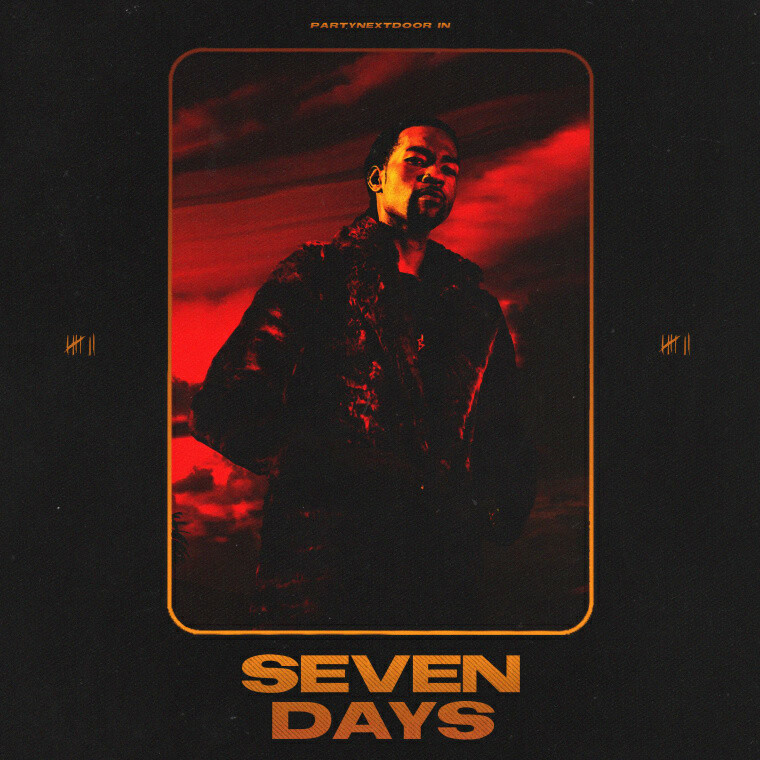 Well, he just dropped his surprise EP Seven Days with seven tracks and features from Halsey and Rick Ross. Party is proving himself by having one of his most prolific years yet. His surprise Colours 2 project came out earlier this year, and following it a myriad of other singles. His Club Atlantis album is in the works right now as well. In an interview with Zane Lowe, Party explained that the title of the EP comes from him making the project in seven days. The songs are apparently inspired by a girl he spent time with in July. "A lot of the songs literally happened right after [something happened]. Maybe she walked out of the house and how I deal with things is like 'Ok...' walk right upstairs to the studio and take it in one cut." he told Lowe. You can listen to the EP now on iTunes.